1. The Internet Sacred Text Archive ('ISTA'), Sacred-texts.com ('This site') is intended to provide, anonymously and free of charge over the Internet, access to certain documents ('the texts'). 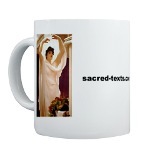 Sacred-texts.com is run by John B. Hare, dba Internet Sacred Text Archive ('the proprietor'), and is not affiliated with any religious organization or institution. ISTA is located in Santa Cruz, California, USA, and can be contacted via email or postal mail. By accessing this site you agree to the following terms of service. 2. The texts are presented for entertainment and research purposes only, and should not be considered a source of medical or legal information. This site and its proprietor shall not be held responsible for any damages, direct or indirect, caused by the use of the texts. 3. The site does not guarantee or warrant that these texts are free of defect or factually accurate. Should you believe you have discovered a defect in any of the texts, or factual inaccuracies, you are requested to provide information about this to the proprietor of the site. Any changes to the site based on this information are made solely at the discretion of the proprietor. 4. The texts at this site are believed to be in the public domain in the United States, or freely redistributable for non-commercial purposes. For a discussion of what this means in plain English, please refer to the copyrights page. If any of the texts are in violation of a copyright, the copyright holder may, if they wish, contact the proprietor of the site and have the text removed from the site, or request that the text be altered, or to correctly identify the terms under which it can be distributed, or to attribute the author correctly. The proprietor agrees to promptly address any such requests. 5. Certain texts at this site were produced by or for the site ('ISTA produced texts') at great labor and expense. 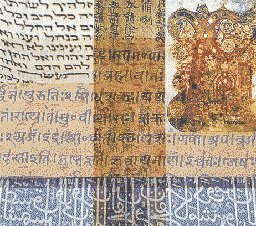 This includes but is not limited to files listed at http://www.sacred-texts.com/stbib.htm. ISTA produced texts are clearly identified by a notice of attribution. ISTA produced texts are believed to be in the public domain. These texts may be copied electronically for any non-commercial purpose, provided the notice of attribution is left intact in the text, and a link or reference back to sacred-texts.com is provided in the copy in a location visible to anyone accessing the file. You are explicitly forbidden to claim a new copyright on ISTA produced texts. 6. Commercial uses of ISTA produced texts in their entirety are prohibited without a written licensing agreement and payment of a licensing fee to ISTA. The licensing fee may be waived at the discretion of the proprietor. Commercial use includes any product for sale which incorporates ISTA produced texts in their entirety, or any use where customers must pay money to view said texts. 8. Certain recently authored material, including but not limited to the Internet Book of Shadows is covered by active copyrights, but has been permitted either passively or explicitly by the copyright holders to by posted at this and other sites on a non-commercial basis. Reuse of this material in commercial projects, without permission of the respective copyright holder, is a violation of Federal and International copyright laws. 9. You are permitted to link your website to the home page of this site or any file or files at this site. You may embed (frameset) text content from this site at your website, provided that the material is clearly identified as not being affiliated with your site. Linking directly to an image at this site is not permitted (for instance, the tarot card images, or the I Ching hexagrams), unless a link to the page that image is embedded in at this site is provided as well. Unattributed direct links to images at this site, either on a webpage or in a weblog ("Blog") may result in that image being taken offline or labelled temporarily. 10. Use of software designed to access the site automatically ('web robots') is permitted for the following purposes: 1. To create or update a search engine's database index of the site. 2. To download one copy of one text from the site per day for permitted uses per the terms of service. Any robots accessing the site shall abide by the robots.txt protocol. All other use of web robots at this site are considered to be in violation of the terms of service, including but not limited to downloading the entire site multiple times in one day, accessing the site for the sole purpose of extracting email addresses, repeatedly accessing a file or files at the site at high speeds, or probing the site for 'formmail', Microsoft FrontPage files, or other scripts. The proprietor reserves the right to disable such excess usage, and may contact the administrator of hosts who use web robots to abuse the site, particularly if it slows down or disables the normal use of the site. 11. You are permitted to copy portions of this site at another website provided 1) you retain all 'NOTICE OF ATTRIBUTION' text in the copied files 2) you do not represent that sacred-texts.com or the proprietor of sacred-texts.com endorses or is a contributor to your website, 3) you strip out all material which is covered by copyright (see section 7 and 8 for a definition of what is covered by copyright). Wikipedia, Wikisource, Wikimedia Commons and other websites run by the Wikimedia foundation, Inc.